Last time, on History’s Badasses, we talked about the woman who founded the Red Cross: Clara Barton. This week, we’re turning our focus to feudal Japan, around the sixteenth century, to the man who took it upon himself to unite Japan under one banner. His name was Oda Nobunaga. Before Oda Nobunaga united much of Japan, the country was divided into hundreds of provinces, all ruled by different clans. 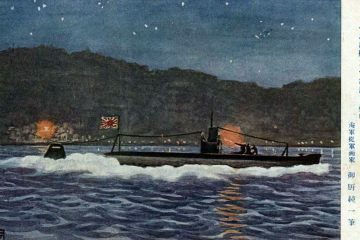 This period in Japan’s history was wracked by near-constant war. It’s referred to as “The Age of Provincial Wars”. 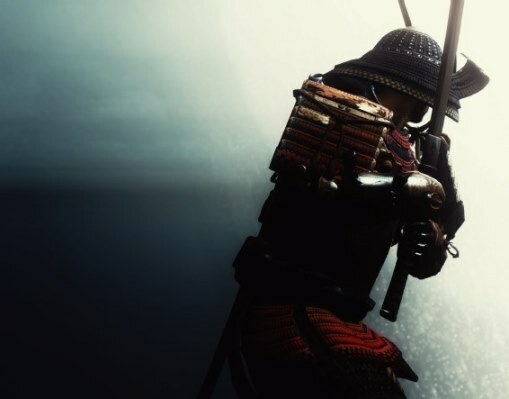 Each clan was headed by what was called a “daimyo”, and each daimyo was fighting to try and grab a little bit more land to add to his little kingdom. 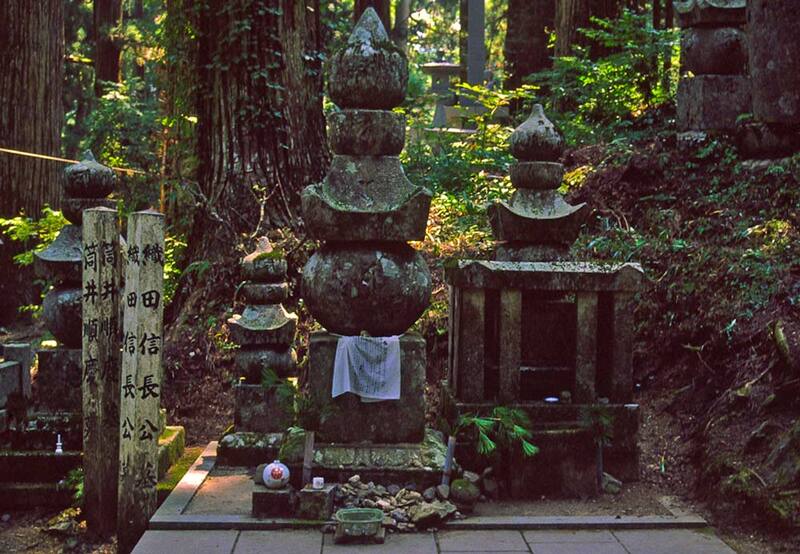 The most powerful clan ruled the area near Kyoto. They were called the Ashikaga Shogunate. This period would last from 1477 to 1573, when Oda Nobunaga would land on the scene. He would, eventually, unite much of Japan under the Oda Clan, but he’d have to unite his own family first, and then he’d have to contend with the Ashikaga Shogunate. Oda Nobunaga was born in 1534 in the Owari province of Japan to a fairly inconsequential feudal lord. Nobunaga didn’t exactly have the best of reputations with the Oda clan. He was known for eccentric, often embarrassing behavior. When his father died in 1551, seventeen-year-old Nobunaga behaved so badly at the funeral that it tore a rift in the Oda clan for good. 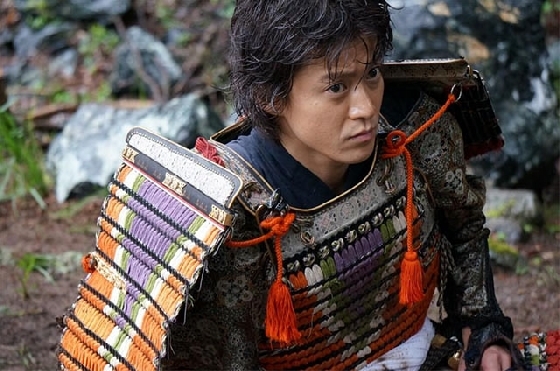 By rights, Nobunaga was the successor to the clan, but many members thought it was better to nominate his milder and easier-to-control brother, Nobuyaki. Nobunaga was an ambitious young teenager, and he would not be swayed by a bit of dissent among his family. He spent nine years convincing uncles, grandfathers, and cousins to join with him, or else murdering them if they refused. He assassinated his younger brother in 1559, and by 1560 he had united the entire Owari province under his banner. Nobunaga wanted more than just Owari, though. Oda Nobunaga, now twenty-six, wanted all of Japan. That would have to wait, however, for a threat was gathering in the East. Imagawa Yoshimoto, leader of the nearby province of Suruga, had heard of this upstart member of the Oda clan, and he wanted to bury Nobunaga before the young lord swooped in to bury him. Imagawa had amassed an army of 40,000 men and assembled on the border of Owari, ready to crash down into the province and lay siege. The Oda clan had to scramble just to assemble a mere 3,000 men. They didn’t have supplies to last very long in a siege, and to attack Imagawa head on would be suicide. Nobunaga had to think fast. Think fast, he did. Oda Nobunaga made a show of moving to a nearby monastery. While there, he put up Oda banners and, under the cover of night, set out thousands of dummies to trick his enemy into thinking Nobunaga had a much larger force than he really did. Oda slipped out of the monastery with his forces, using the banners he left there as a distraction while he circled around with his real army. As luck would have it, a storm blew in, and Oda Nobunaga was able to sneak up on Imagawa’s huge army undetected. Like lightning, Nobunaga’s men rushed into Imagawa’s camp. 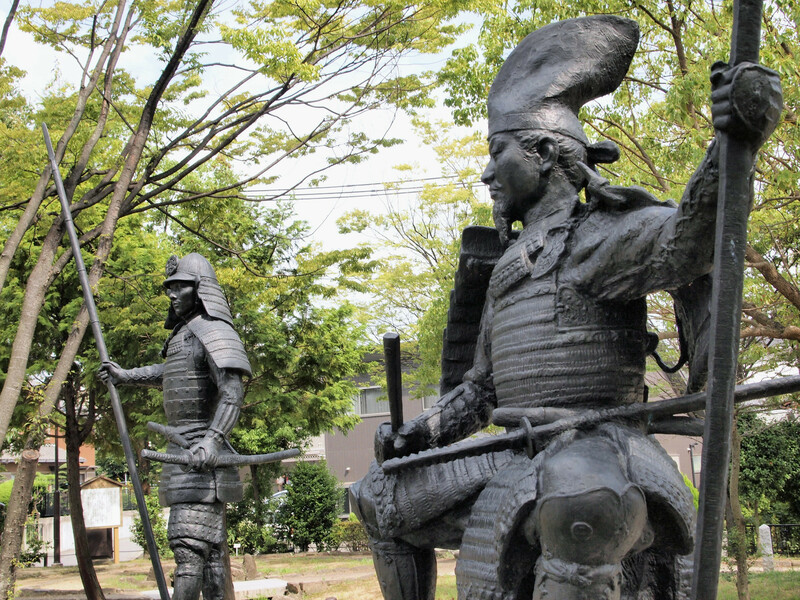 Imagawa’s men were taken so by surprise that they scattered, leaving their leader defenseless. Imagawa was beheaded. Imagawa’s general, Tokugawa Ieyasu, defected with his forces to Nobunaga’s side. This alliance would prove invaluable, adding thousands of troops and supplies to Oda Nobunaga’s growing forces. After uniting and securing Owari, Nobunaga wasted no time in upgrading his forces with muskets and bringing Owari’s merchant guild under his wing. He made sure that he had a strong economy first, and then he set his sights on Kyoto, the port city of Osaka, and the all-powerful Ashikaga clan. If he was going to rule Japan, Nobunaga needed Kyoto and Osaka. Nobunaga made his move in 1567, shifting his base of operations north. He entered into an alliance with Yoshiaki of the Ashikaga clan in the following year, promising him dictatorship of Kyoto after Nobunaga assassinated Ashikaga’s brother, Yoshiteru. Nobunaga did, indeed, assassinate Yoshiteru. After that, he and Yoshiaki marched on Kyoto. Nobunaga captured the city and made Yoshiaki shogun – but it was all a farce. Nobunaga technically held up his end of the bargain, but he made Yoshiaki his puppet. Nobunaga was the true ruler of Kyoto, and he was rotting the Ashikaga clan from the inside out. With Kyoto and the Ashikaga clan in hand, Nobunaga was unstoppable. He set up shop in a new headquarters at the magnificent castle on the shore of Lake Biwa, near Kyoto, and then launched a full-scale campaign against the rest of Japan. He quickly swallowed up Osaka, tearing down the Buddhist monastery there that was loyal to the rival Ikko clan. He invested in his newly acquired estates, gaining the loyalty of the local farmers, and then moved on to province after province. 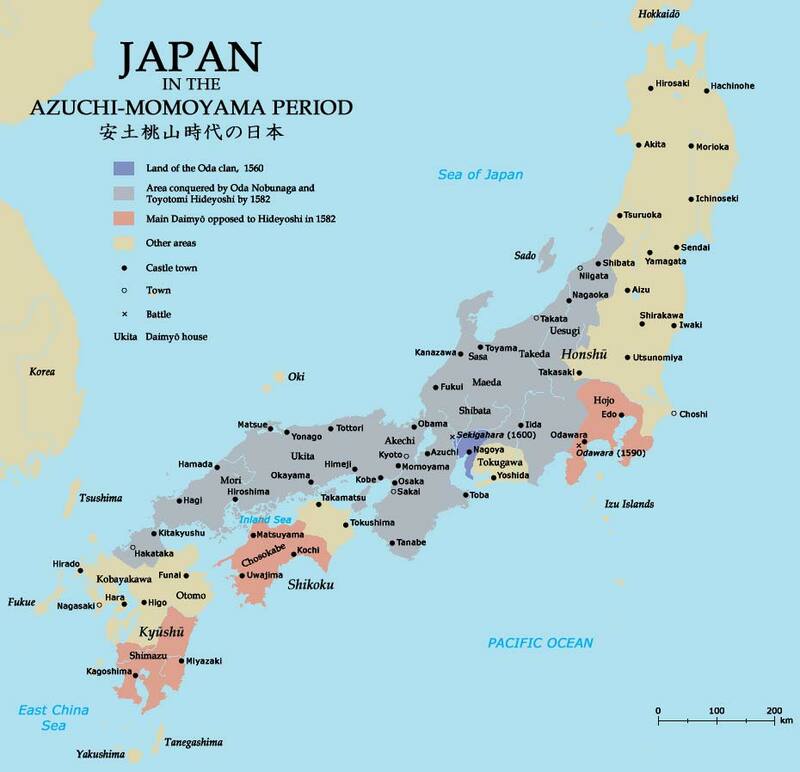 By 1582, Oda Nobunaga’s empire engulfed all of central Japan – roughly half of the island. As history always seems to have it, those who fear greatness always seek to overthrow it. Oda Nobunaga had grown increasingly more powerful and ruthless. So powerful and ruthless, in fact, that his generals sought to overthrow him. While Nobunaga turned his focus on to conquering Western Japan, they formed an anti-Nobunaga alliance and organized a coup. In the end, he was betrayed in June of 1582. According to history, rather than risk a shameful capture, Nobunaga chose to commit seppuku (ritual suicide). 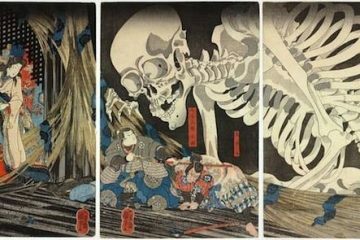 Oda Nobunaga may be long dead, but the effect he had on feudal Japan was irreversible. Japanese soldiers would keep on using muskets in their infantry. Religion had been, for a time, de-politicized, taking a lot of power out of the hands of the elite and passing it to the people of Japan. The roads were safer, the armies more efficient, the people better educated, and the feudal wars were coming to an end. Thanks to Oda Nobunaga, Japan was, along with the rest of the world, propelled into the 17th century. The country would never be the same.